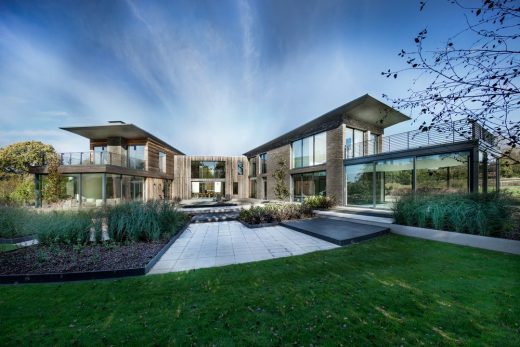 Located in Hampshire within close proximity to the River Hamble, this remarkable new-build family home provides substantial entertainment space, designed by local architects AR Design Studio. 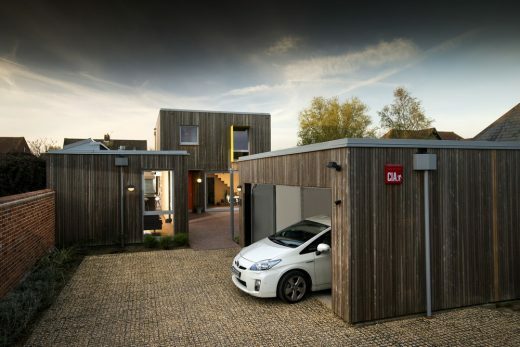 Kebony, a beautiful wood recommended by leading architects was carefully selected for the exterior cladding of this property, which comprises three interlocking blocks organised around a central courtyard. Hampshire Passivhaus is a self-build home on the south coast. It is an L-shaped detached dwelling, creating private courtyard spaces, on a tight brownfield site with multiple neighbours. Bedales School is set in an area of outstanding natural beauty on the edge of the South Downs National Park in the village of Steep near Petersfield. 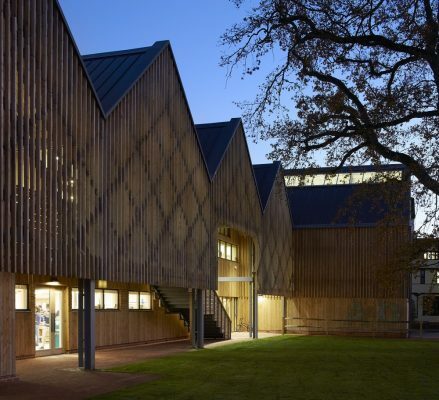 Constructed around a substantial and beautiful oak tree within a new court and central lawn the new Art and Design building has a strong sense of place. Upon the arrival of their new baby daughter, the need for additional family space meant that the client’s existing 1950s three bed house desperately needed extending. The brief called for two additional bedrooms upstairs and a large open-plan family space with light, views and access to the beautiful garden at ground floor. The Paddocks is a typical seventies cul-de-sac development of rather uninspiring brick houses set back from the bustling and hugely popular High Street in Brockenhurst, situated within the New Forest National Park. It was bought by partners who are fans of contemporary yet environmental design who required more room for their expanding family. This large private house is a tour de force in a technicolour architectural style that derives from that of James Stirling, from whose practice these architects emerged. This means that it is an assemblage of strong primary forms, mostly cylinders and cubes. The entire structure, including the curved elements, is of cross-laminated timber. A new master plan for the redevelopment of 166 hectares of the old army barracks at Aldershot has been approved. On the edge of the established town, the area will be transformed from a secure military area into a new district of the town. The plans were submitted by Grainger plc. 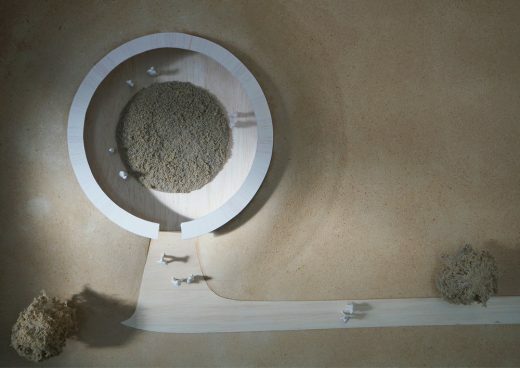 It is not every day that a body is found buried on your building site, but on a summer’s morning in 2012 this is exactly what happened while builders were laying foundations for RIBA award-winning architects AR Design Studio’s latest project. By 6pm they had found another 2. After a period of intense excavation, it was confirmed as a site of Archaeological importance. Once the site was cleared work on the building could continue. 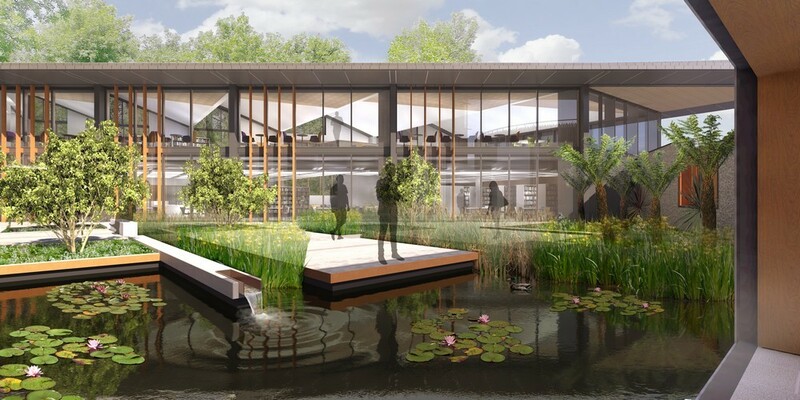 BDP has won the design competition for a new cancer treatment centre for Hampshire Hospitals NHS Foundation Trust. 36 architect-led teams entered the competition process from which six were shortlisted including Hopkins, Stantec Anshen & Allen, John Cooper, HLM and Steffian Bradley. Nigel Anderson at ADAM Architecture has won an appeal for an unusual new ‘NPPF Para 55’ country house in Hampshire. ADAM Architecture is one of the first practices to win planning permission, after appeal, under the new National Planning Policy Framework, paragraph 55 – the replacement to the Planning Policy Statement 7 (PPS7) which allows the building of new country houses that are of ‘exceptional quality or innovative design’. This latest creation by AR Design Studio, is a stunning five bedroom house. Bordered by mature trees and a small lake, this spectacular house creates feelings of ultimate relaxation and privacy, whilst its contemporary design juxtaposes superbly with its beautifully rural location, on the south coast of England. Bluebell Cottage is a large detached private home that is situated in Crawley, near Winchester. The house, occupying the last development at the end of a track, faces north with a large ‘front’ garden as the main usable space. The garden receives sunlight throughout the day and is overlooked only by the surrounding trees and fields.